Comedienne Bharti Singh was surprised by the team of The Kapil Sharma Show on her birthday on July 3, 2017. The makers of the show planned a big surprise for their new member on board. 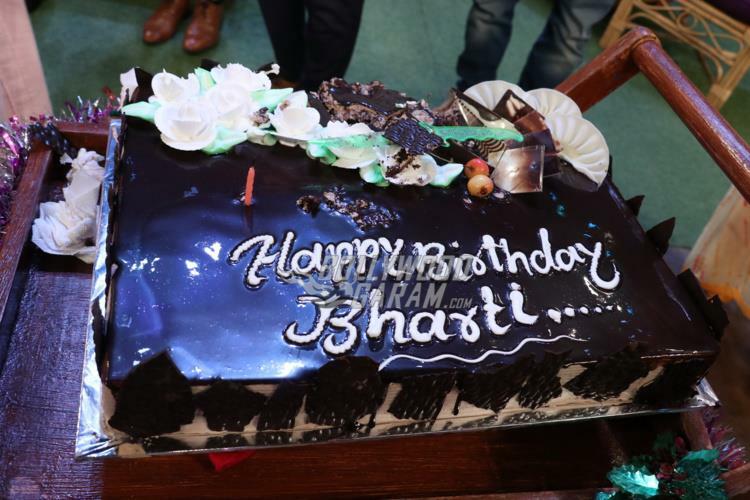 A big cake was brought in after the director wrapped up the shoot her birthday was celebrated along with the entire Indian Hockey Team! The Indian Hockey Team, who recently won against Pakistan, will be guests on the upcoming episode of TKSS. 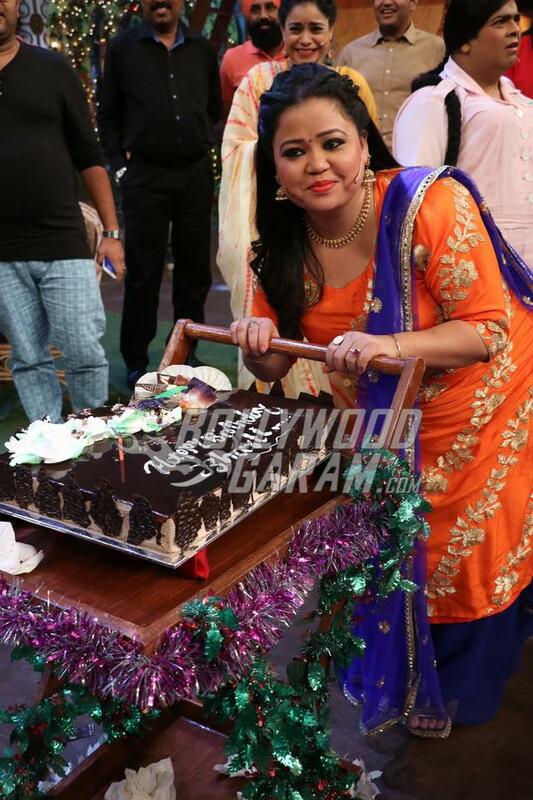 Bharti Singh was extremely touched by this gesture and expressed, “I feel very happy to be cutting by birthday cake on The Kapil Sharma Show. I had actually not told anyone about my birthday but the people at Sony Entertainment Television are really very sweet and remembered because they also know it all started from there and that’s how they remembered my date of birth.” The comedienne added that being able to celebrate her birthday with old friends like Kapil Sharma, Chandan Prabhakar and Rajiv Thakurji brought back some good old memories. She also felt privileged to have the entire Indian Hockey team be a part of the celebrations. While talking about her stint on The Kapil Sharma Show, Bharti confirmed that she is indeed a part of the show but her character has not been decided yet. She revealed that she will soon have a meeting with the channel’s creative team to discuss the same. Bharti also clarified that her fiancé Harsh Limbachiyaa is not a part of TKSS, responding to previous reports which suggested that he will be writing the dialogues for his fiancé.